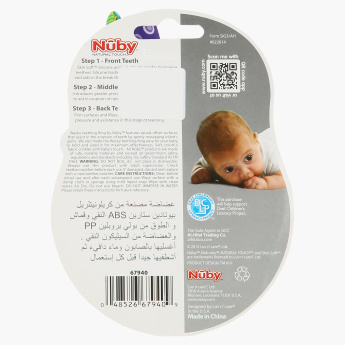 Nuby Textured Teething Ring | Multicolour | Designed accordingly for teething period. Soothe sore gums of your little one during the teething period by getting these textured rings. These teething rings will gently massage and also develop a visual sense in your little one. Feature 1 : Designed accordingly for teething period.